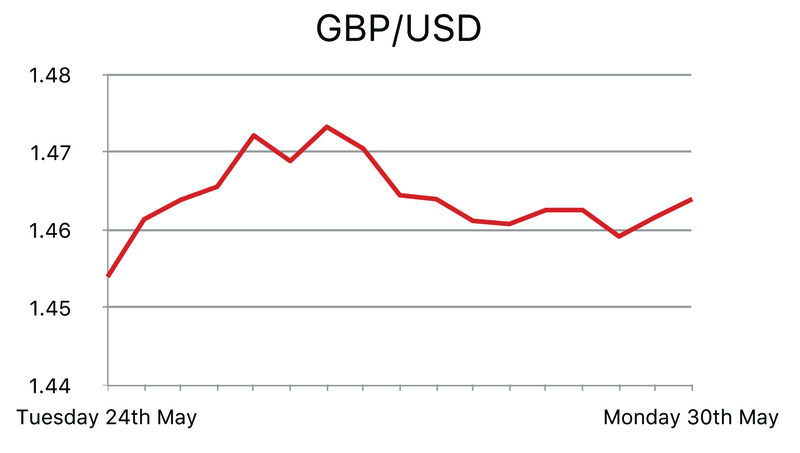 The Pound slipped after gaining over 1 percent against the dollar last week as investors, worried the looming Brexit referendum could see Britain move away from riskier assets. The was little reaction to warnings from Prime Minister and Chancellor that the vote could push Britain into a year-long recession and cost at least 500,000 jobs according to a treasury report. David Cameron said recently that "leaving the European Union would be economic self-destruction for Britain, shattering stability". Cameron and Osborne also warned that households would be hurt by a fall in the value of their homes and face expensive foreign holidays if they voted "Out". 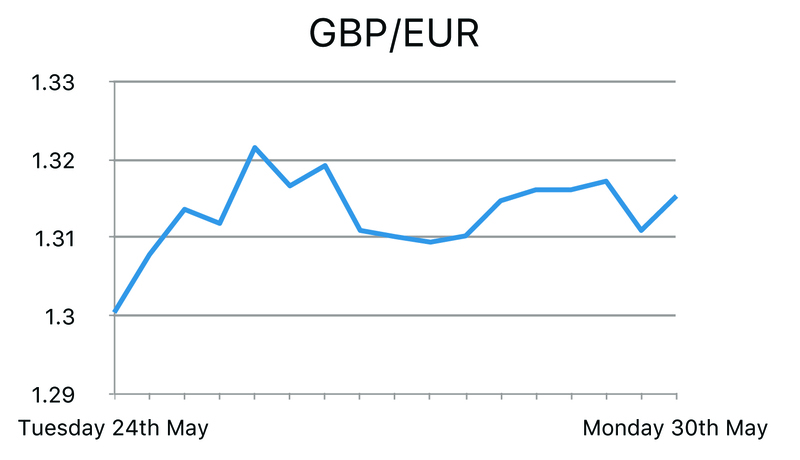 Sterling made gains yesterday against all major currency pairs amid signs that the campaign to keep Britain in the EU is gaining strength. Bank of England Governor Mark Carney defended his decision to flag the risks of leaving the EU, hitting back at one of his toughest critics of trying to undermine the Bank. GDP figures showed Britain’s economy grew at 0.4% in the first three months of 2016, despite a slump in manufacturing and construction output that has dragged down growth. The economy only expanded in the first quarter after increases in business services and government spending, especially on the NHS, and a surge in consumer spending. Real household spending was up 0.7% on the quarter and added 0.5 percentage points to the growth rate. The disappointing manufacturing and construction figures were blamed by economists on the uncertainty over the referendum’s outcome, weak overseas growth and financial market volatility. The U.S. dollar gained after Federal Reserve officials made hawkish remarks on monetary policy. San Francisco Fed President John Williams said that the central bank would probably tighten policy a bit quicker in 2017 than 2016, by perhaps one or two more interest rate hikes. On Monday, St. Louis Fed President James Bullard said keeping U.S. interest rates too low for long could cause financial instability and that stronger market expectations for a rate rise were "probably good." Purchases of new homes in the U.S. increased in April to the highest level since 2008, pointing to a strong spring season for construction sector. The number of homes sold and not yet under construction climbed to the highest level since May 2007. Commerce Department data showed sales jumped 16.6% to 619,000 from 531,000 previously. The rebound in purchases signals housing was returning to more stability, helped by healthy employment gains and cheap borrowing costs. Weak service sector growth persisted as Markit Services PMI figures were released, coming at 51.2, below the predicted 53.1. US service providers indicated a sustained upturn in overall business activity during May, but the rate of expansion was only marginal. Poor data also included the quarterly house price purchase index, which worsened from 1.5% to 1.3%. US crude oil inventories also plummeted, as stocks fell by 4.2m barrels last week, larger than the 2.5m barrels expected. In turn, WTI reached its highest price since October 2015 at $49.34. Manufacturing, is struggling with the lingering effects of the dollar's past surge and sluggish overseas demand. The Commerce Department said on Thursday orders for durable goods, ranging from toasters to aircraft meant to last three years or more jumped 3.4 percent last month and non-defence capital goods orders excluding aircraft, fell 0.8 percent. The ZEW Indicator of Economic Sentiment for Germany has declined slightly in May 2016. The index has decreased by 4.8 points compared to the previous month, now standing at 6.4 points. "The strong growth of the German economy in the first quarter of 2016 appears to have surprised the financial market experts. However, they seem not to expect the economic situation to improve at the same pace going forward. Uncertainties regarding developments such as a possible Brexit currently inhibit a more optimistic outlook," says Professor Achim Wambach, President of ZEW. The ZEW Indicator of Economic Sentiment for the Eurozone has decreased by 4.7 points to a reading of 16.8 points. 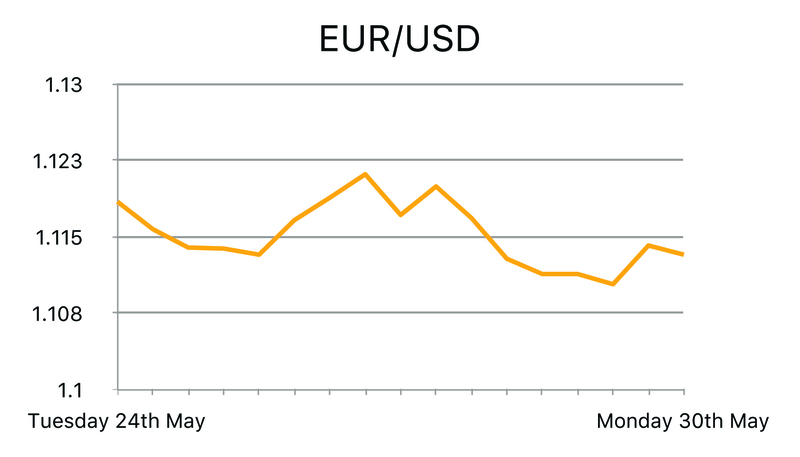 Previous reading was 21.5 with a consensus for a reading of 23.4, the Eurozone sentiment figure further compounds the gloomy outlook for the region. There was a successful conclusion to the Eurogroup’s latest meeting to discuss the Greek bailout program with a new deal to rescue Greece with its third bailout package. The outline of the deal allows the Eurozone to extend €10.3bn in rescue loans to keep Greece afloat this summer, beginning with a €7.5bn cash release next month. This positive news wasn’t mirrored in the markets, as analysts believe the bailout is an attempt to cover up the cracks and address the issues the Eurozone could face during a future Greek default.